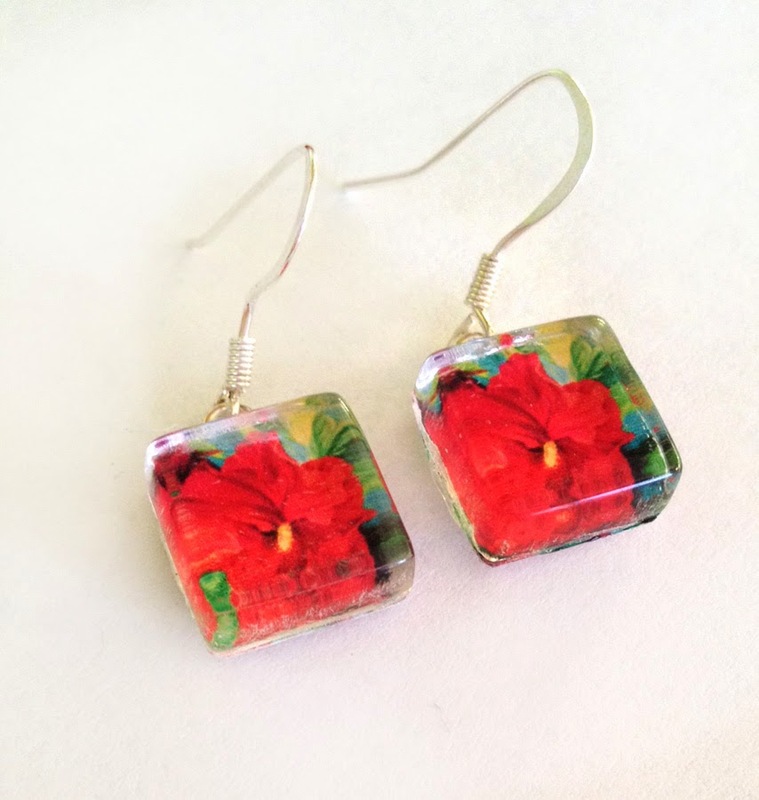 Check out what's new in my Etsy shop! Click HERE to check out my new and improved, updated website! I thought I would try something different. 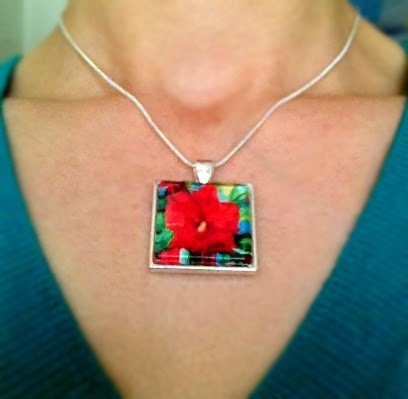 I love this print wrap I brought back from Hawaii a few years ago. 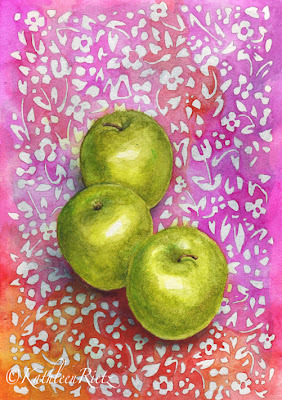 I tried to salvage this old apple painting by adding the pattern in the background. I think it looks pretty, although apples are not typically found in Hawaii the way they are on the mainland. What do you think? 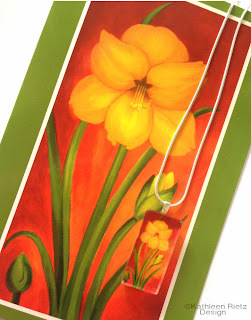 It's available in my Etsy shop. In 2012, I signed a contract as a designer with Things Remembered in Cleveland, OH. 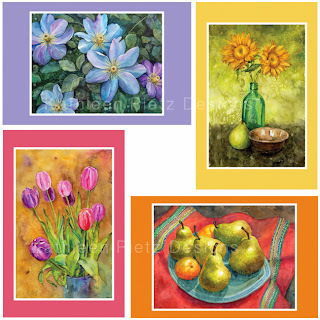 I thought it might be fun to show you how a concept changes and evolves until it becomes a finished product that you see in stores, on their website and in their catalogue. In this case, the concept I drew was for a peacock snow globe painted in beautiful, shiny metallic colors. And here is the final product. 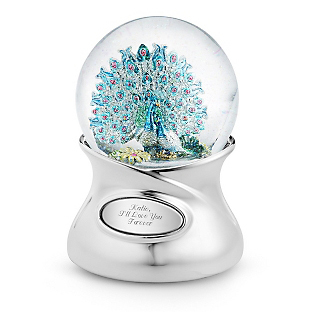 The image is not very good, but if you click HERE, you can go to the website and watch the video where you will see a close-up, hear the music and watch the movement as the image rotates inside a snow filled globe. It is quite beautiful. 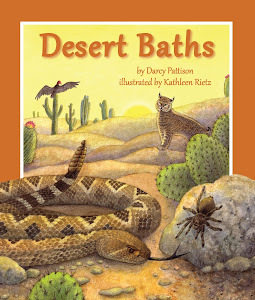 Check out the great review of Desert Baths, by author Darcy Pattison, which I illustrated for Sylvan Dell Pulishing. CLICK HERE. 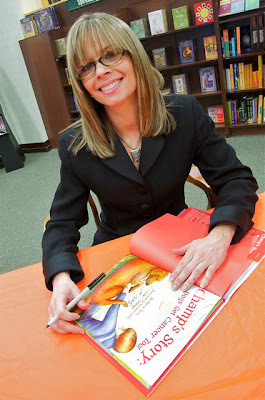 Check out Kid Lit Reviews' interview with me. CLICK HERE. 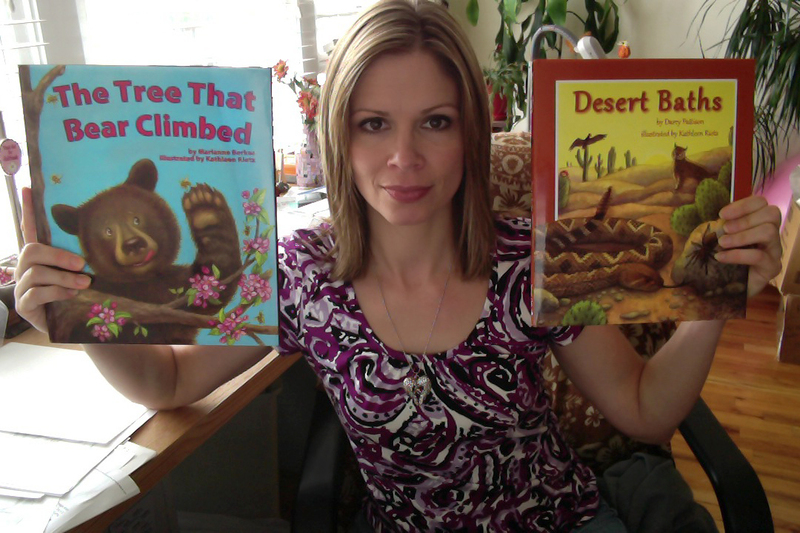 My copies of "The Tree That Bear Climbed" and "Desert Baths" arrived in the mail on Friday! Check out reviews and synopses of the books, and preorder by clicking the titles. This is a coloring page I created for a coloring book I illustrated. You can download yours for free! Show your kids some love. 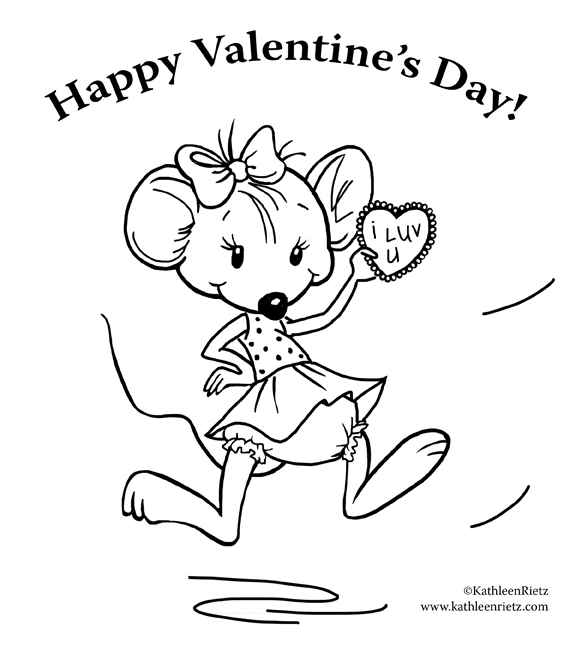 Print out this FREE coloring page for Valentine's Day fun. ©Kathleen Rietz. For private use only, please! 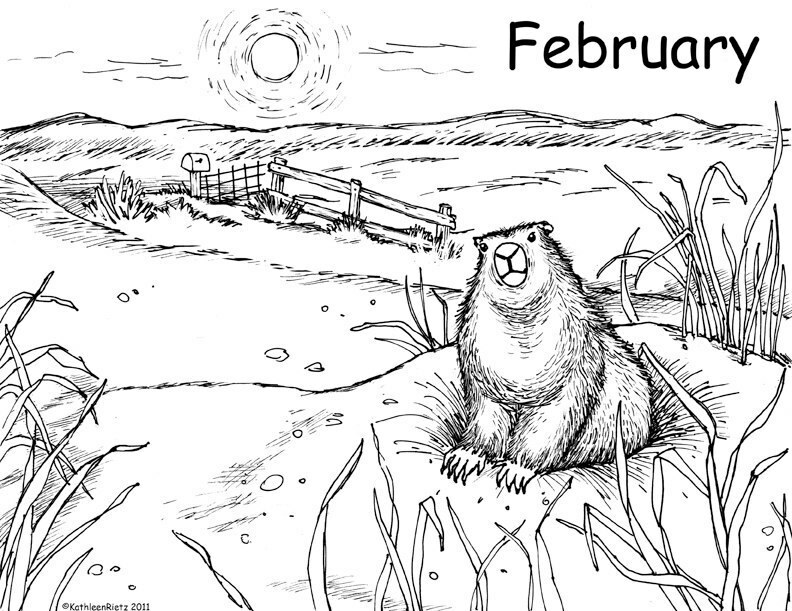 Enjoy your FREE downloadable Groundhog's Day coloring page, featuring a scene from the book "Prairie Storms", written by Darcy Pattison, illustrated by me, and published by Sylvan Dell Publishing. If you have not checked out my website in a while, click HERE. 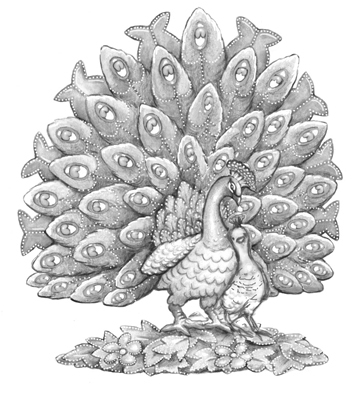 There, you can find more coloring pages and check out books I have illustrated, as well as new books coming out in 2012. You can also "like" the "Prairie Storms" fan page on Facebook. 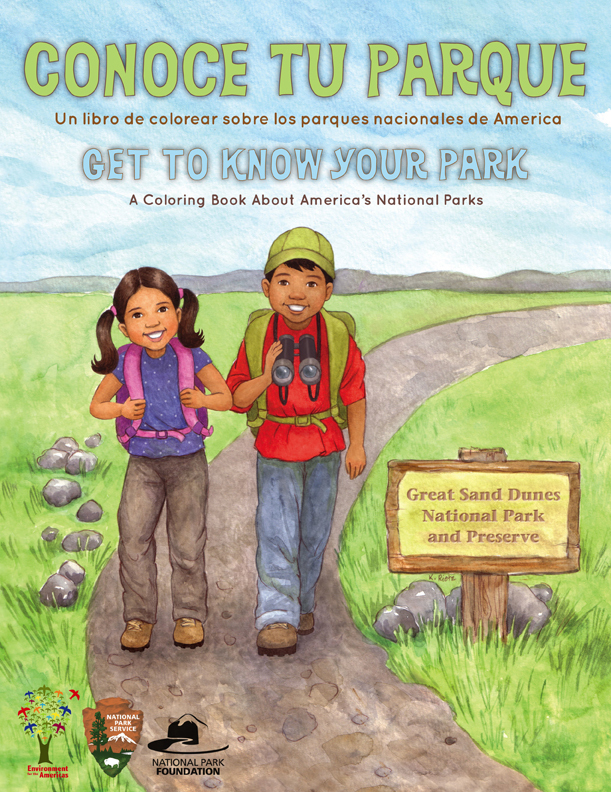 Here is the cover of a series of coloring books I am working on for the National Park Foundation, through Environment for the Americas. 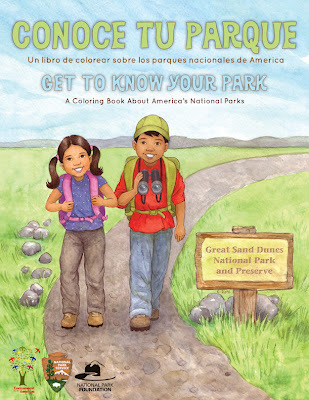 The coloring books are geared toward introducing Latino children to our national parks. 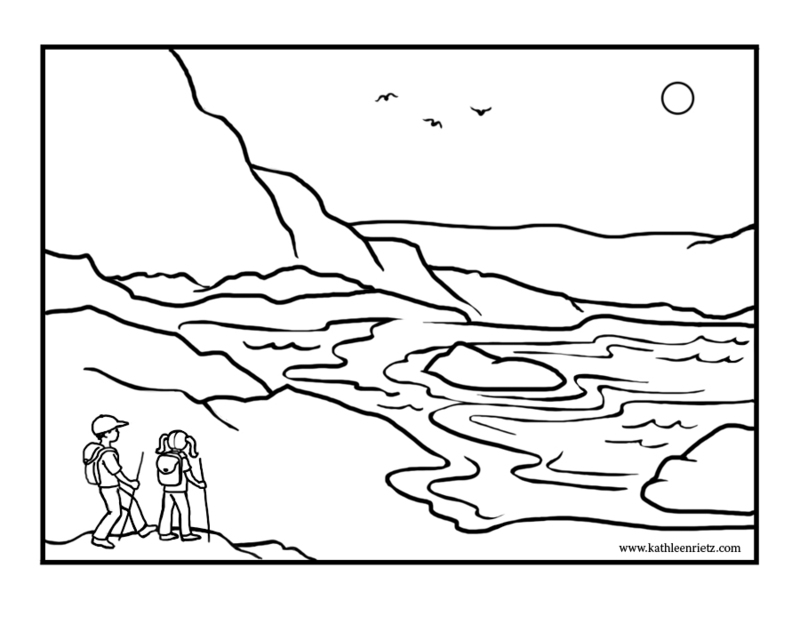 Free "Explore Our National Parks" coloring page! Today in the Midwest it is definitely a "snow day". 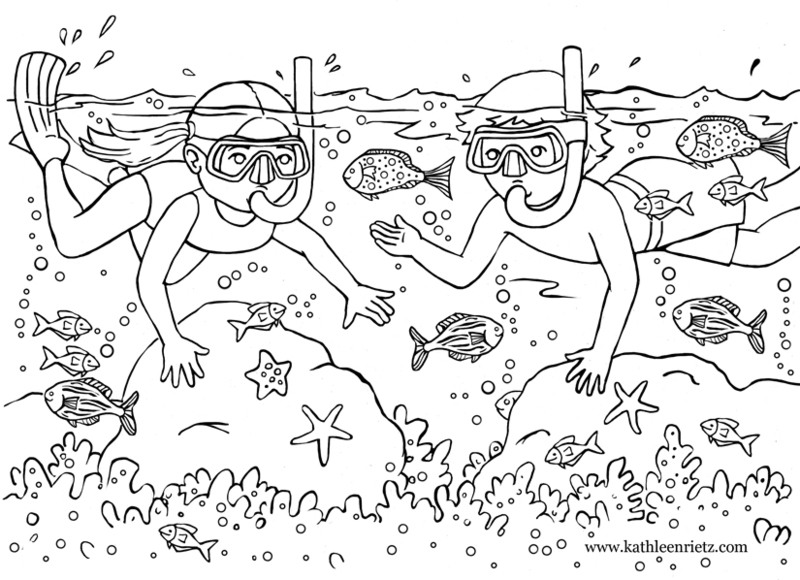 So here is a free coloring page for your kids to download and color, and a reminder that there are warmer days ahead. 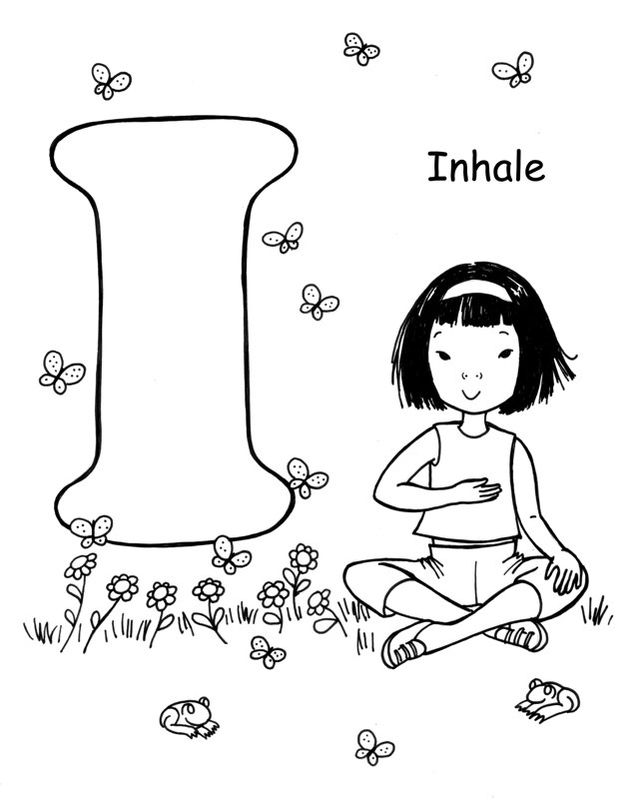 "The Abcs of Yoga for Kids" November coloring page! Here is the "The Abcs of Yoga for Kids"coloring page for November. 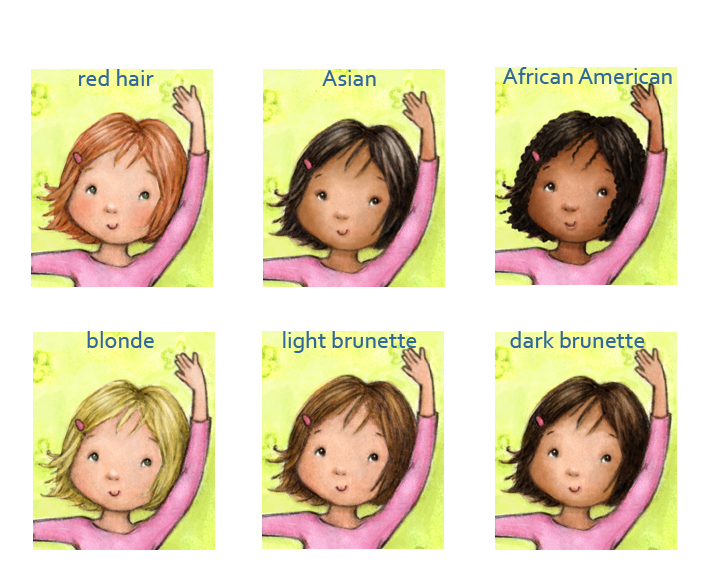 If you would like to view the entire line of products from "The Abcs of Yoga for Kids", or receive the FREE newsletter, click here. Here is a free coloring page from the book I illustrated for Teresa Ann Power, "The ABCs of Yoga for Kids". In yoga, focus on breathing is very important. 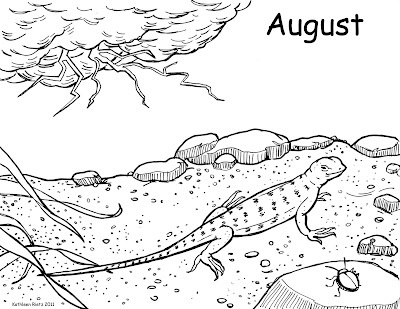 Feel free to click the pic to download my latest Prairie Storms coloring page! 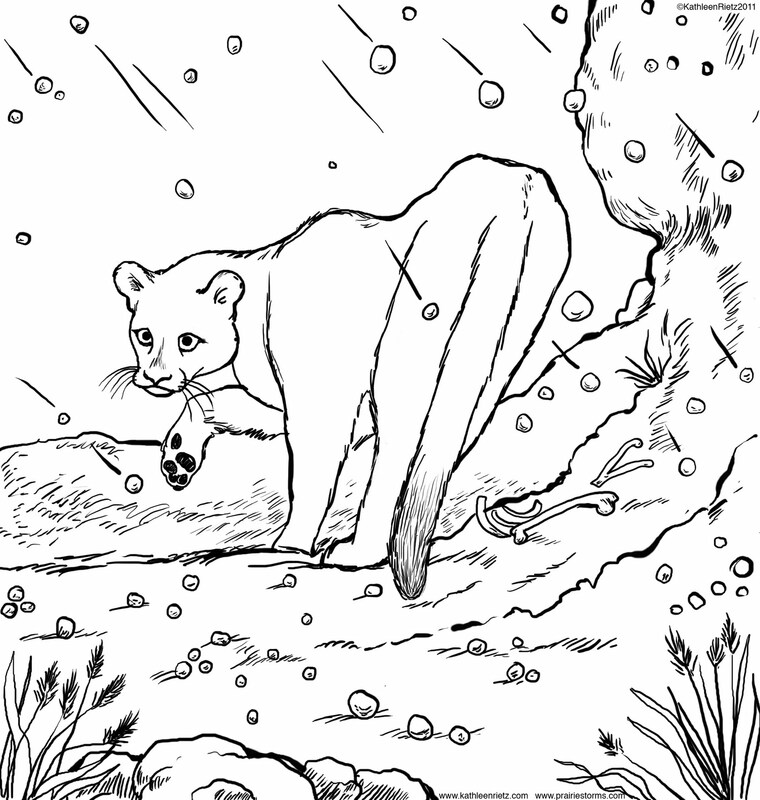 In this scene, we see a cougar taking refuge from a chilly, November hail storm. "Prairie Storms" book launch and GIVEAWAY! 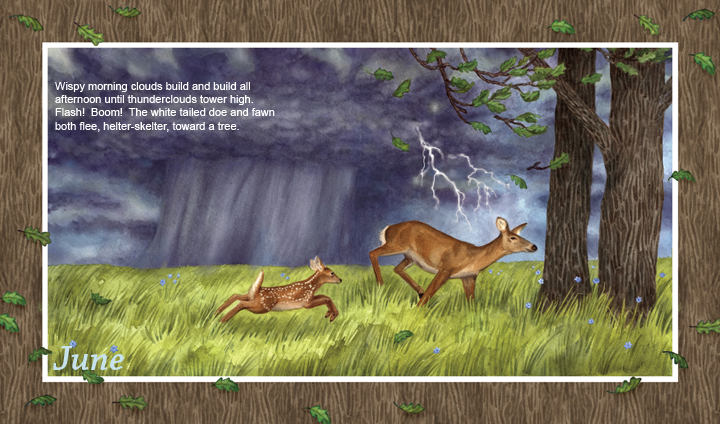 Head over to the blog of well-respected children's book illustrator Elizabeth Dulemba for a chance to win a FREE copy of my new book, Prairie Storms. 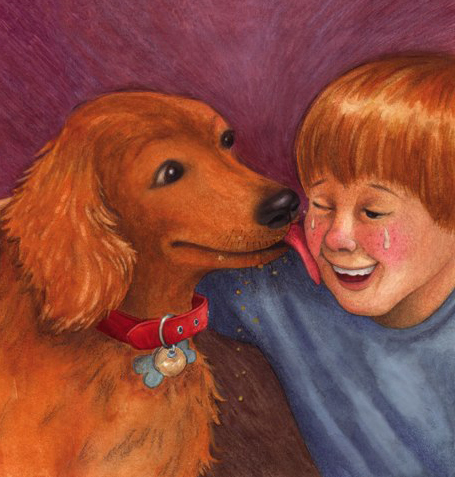 Also, be sure to read the interview with the book's author, Darcy Pattison, and myself, about how the concept for the book and the illustrations all came together. You can also watch a book trailer there, to preview this exciting new book! NEW! 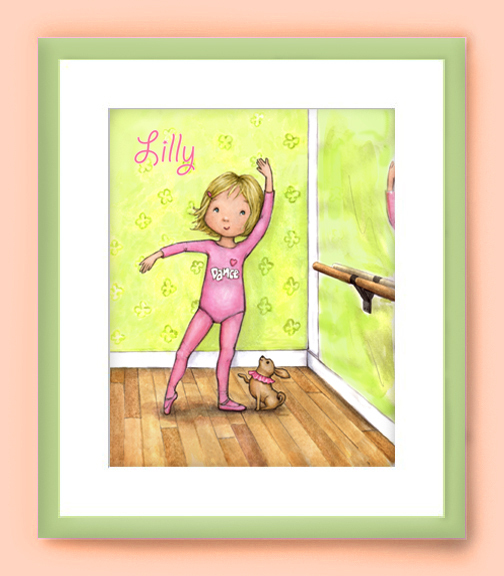 Personalized Ballerina Print in my Etsy Shop! Every little girl dreams of being a ballerina. Choose your ballerina's nationality, hair and eye color, and personalize this print with her name. Made to order, now in my Etsy shop. A passel of prairie wildlife weathers a year of storms. In February, “The hibernating ground hog stirs, awakes. It unplugs the door to its den and peers out. Soft billows of fog blot / out the sun.” June sees “Puffy morning clouds build and build all afternoon until thunder clouds tower high. Flash! Boom! 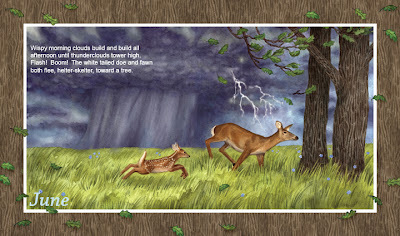 The white tailed doe and fawn both flee, helter-skelter toward a tree.” Skunks endure dust storms. A cougar shelters from hail. A prairie chicken digs for roots after a blizzard. 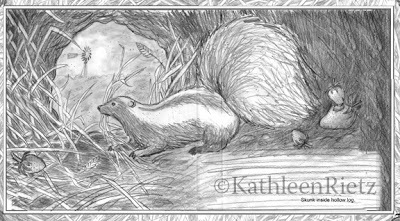 Each double-page spread presents a different prairie beast and a different weather event for each month. Pattison’s text is descriptive and refrains from anthropomorphizing; however, it ends abruptly, giving this more of the feel of a list than a cohesive tale. 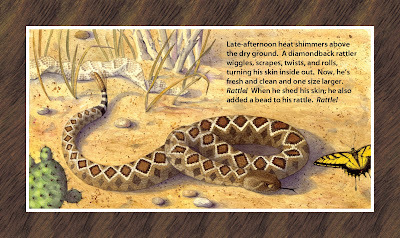 Rietz’s watercolors of realistic animals in various areas of the grassland habitat are a good match. 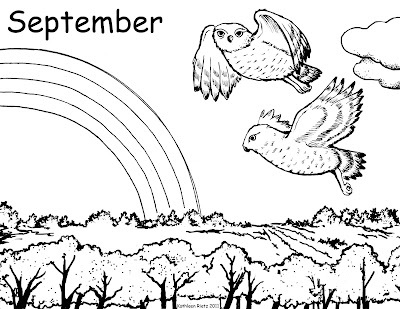 Six pages of activities and quizzes on animals, weather, habitats and seasons follow December’s spread. Prairie Storms author, Darcy Pattison, is having a give-away over at Goodreads. Enter between now and August 10th for your chance to win a free copy of our book. You can also now follow both of these books on Facebook! Check out what's new over at my fine art blog, when you get a chance and are in the mood for something different. True friends stay with you through life's ups and downs. We all need encouragement to stay the course at times. 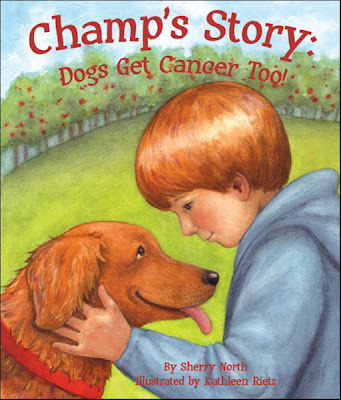 Find out how Champ's friends encourage her during her battle with cancer in the book I illustrated, Champ's Story: Dogs Get Cancer Too!, written by Sherry North and published by Sylvan Dell. 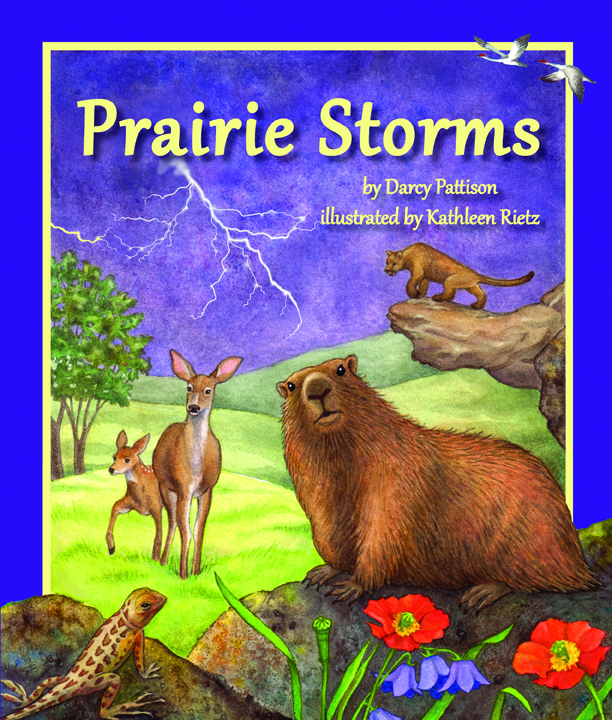 And watch for my latest book, Prairie Storms, to be released in August. To see previews of the book, check out my website. Video Preview of "Prairie Storms"
Sometimes the best remedy is love. 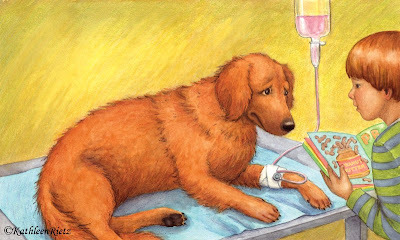 Get the heart-warming, award-winning book I illustrated, "Champ's Story: Dogs Get Cancer Too! "(published by Sylvan Dell) right here. 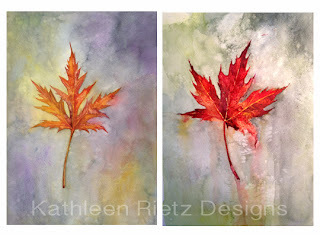 Check out what's new over at my fine art blog. 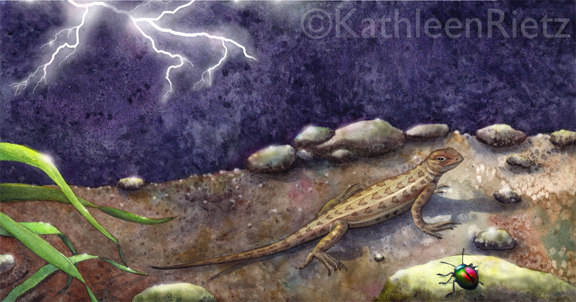 Here is a preview illustration from my latest book, Prairie Storms, set for release in just a couple of weeks. The book was written by Darcy Pattison, and published by Sylvan Dell. We have a follow-up book, called Desert Baths, which will be coming in 2012. It has been wonderful working with both Darcy and Sylvan Dell. 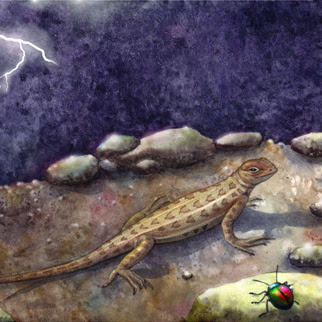 In this illustration, an earless lizard shimmies to find shelter from a dry, crackling lightning storm in the middle of an August night. 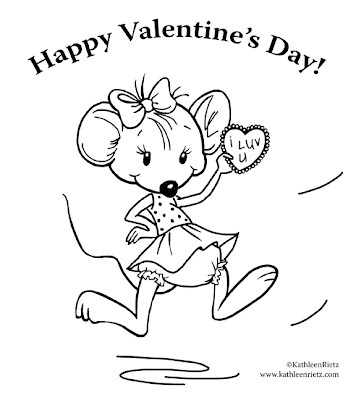 You can download a free coloring page version of this illustration here. 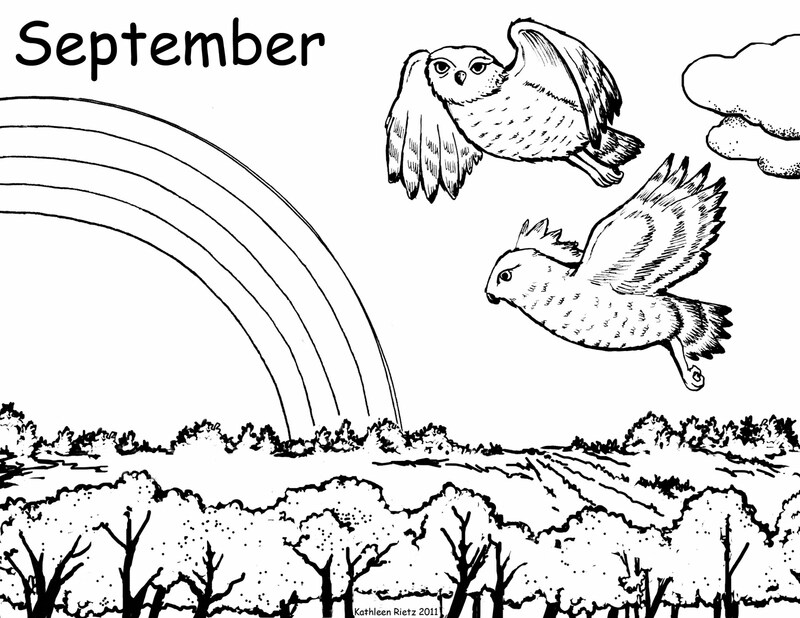 To help launch the August release of my new picture book "Prairie Storms", written by Darcy Pattison and published by Sylvan Dell Publishing, I will be making available FREE coloring pages drawn by me! 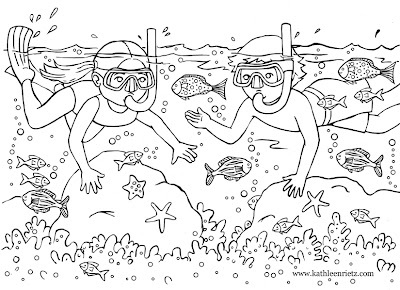 Each coloring page features a month with a scene which coordinates with a scene from the book. 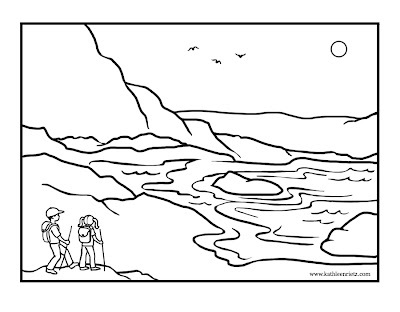 Just click the image, then either download the coloring page, or drag and drop it to your desk top. Be sure to print the image in a "landscape" format on your printer. 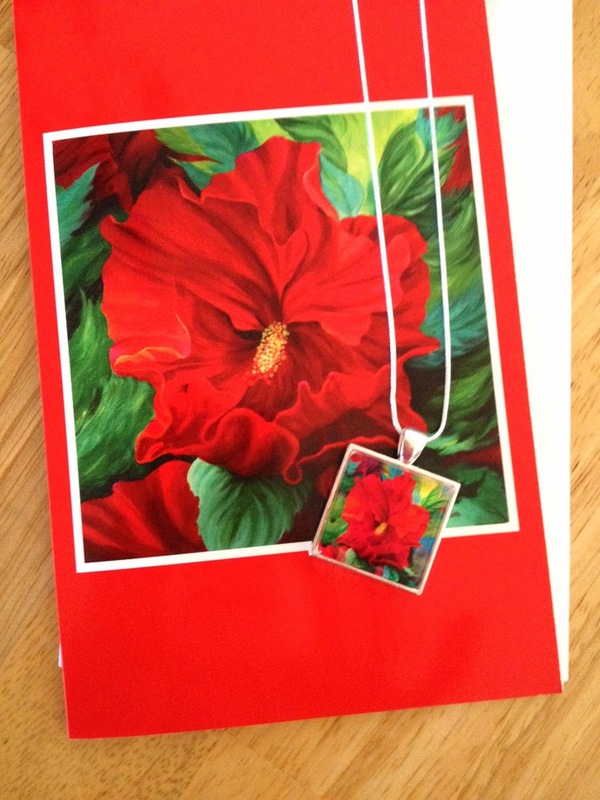 The image size is 8.5" X 11". 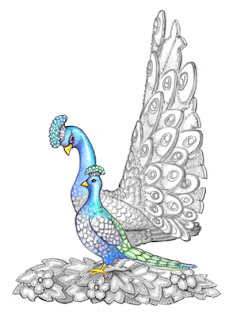 I would love to see your child's finished, colored page when they have finished coloring it. 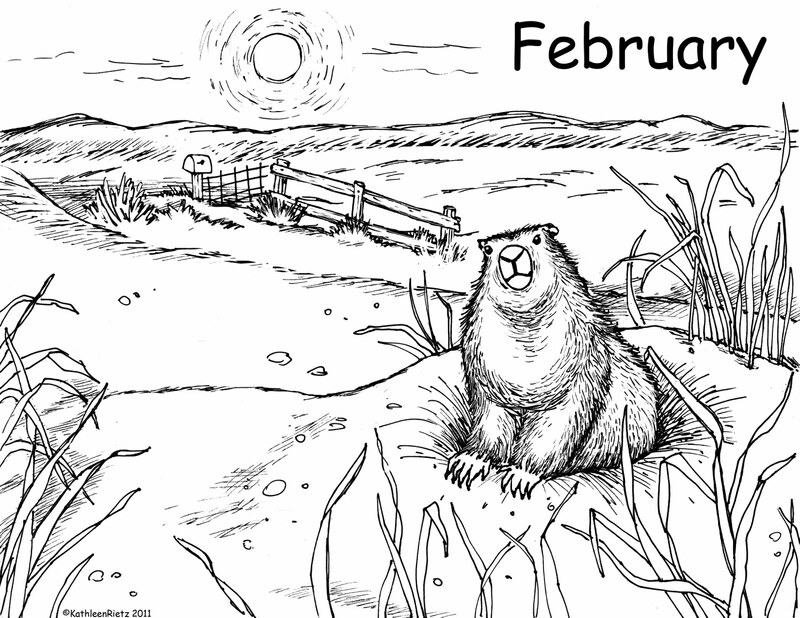 This week I am featuring the coloring page for the month of February: a prairie dog peeks out of his snow-capped burrow on a foggy morning. Will he see his shadow in the snow? 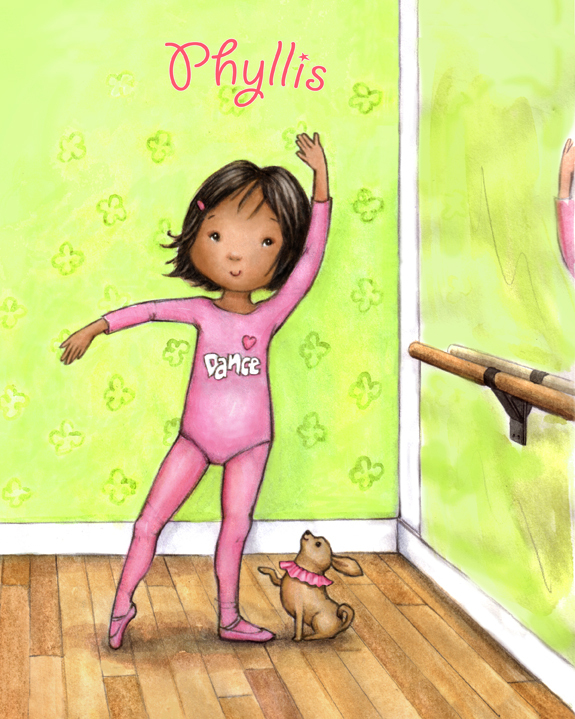 More Accolades for "The ABCs of Yoga for Kids"! Check it out! This video features the book I illustrated, The ABCs of Yoga for Kids, along with other great Parent-Tested/Parent-Approved products! 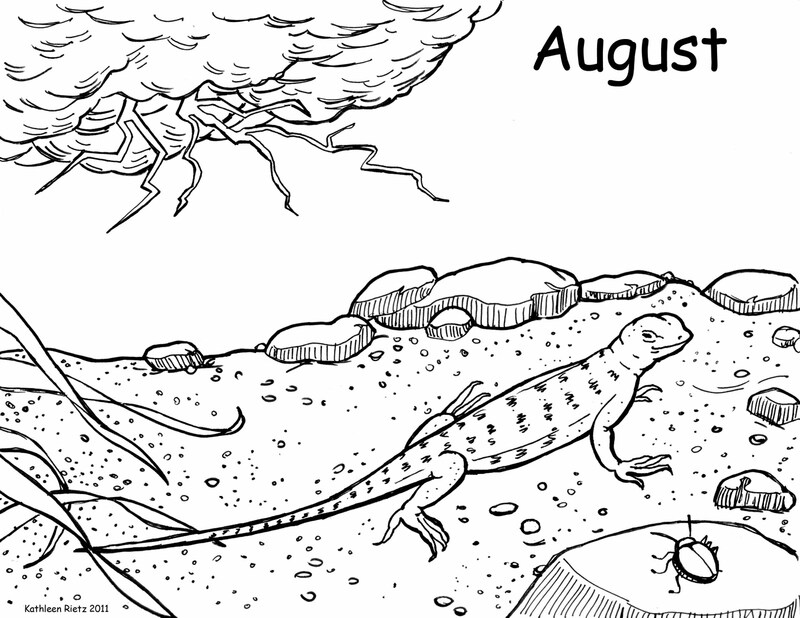 This week I am featuring the coloring page for the month of August: an earless lizard searches for shelter as the sky crackles with heat lightning. 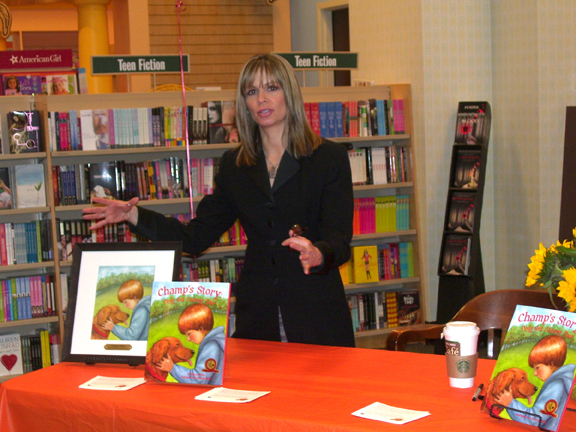 Thank you to Barnes & Noble Booksellers in Arlington Hts., IL, for hosting last night's event. It was a great success! If you would like to schedule a school visit or book signing for any of my books, please drop me an email. Here I am explaining how a story becomes a book. The original art for the cover of "Champ's Story" is framed and displayed on my table along with copies of the book. 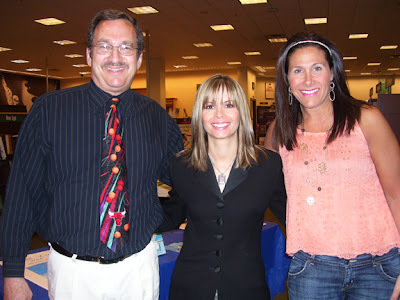 Here I am with local authors Michael Bellito and Jackie Pilossoph, who were also signing their books. Another shot of the original art and the book cover. 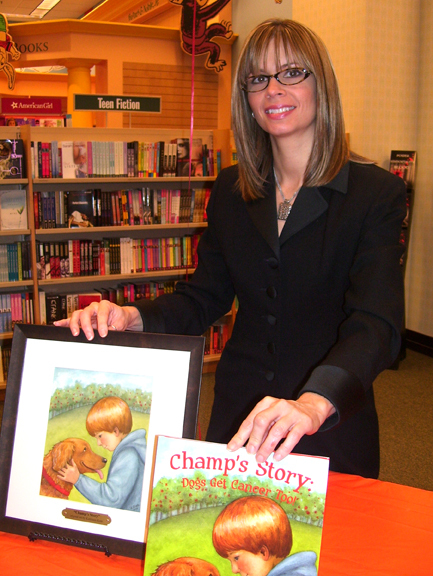 Tomorrow I will be signing copies of the award-winning "Champ's Story: Dogs Get Cancer Too!" at Barnes & Noble in Arlington Hts., IL, from 7 to 8:30pm. Click HERE for more info. 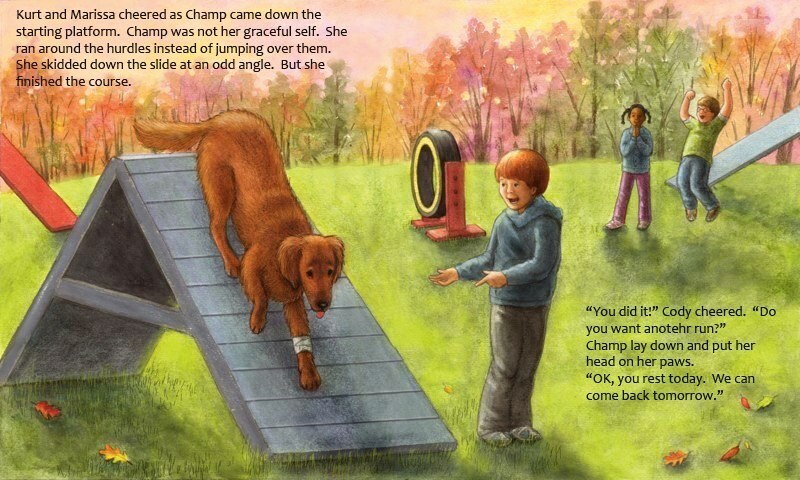 As always, if you have bought a copy of "Champ's Story" and would like me to sign a bookplate for you to affix inside the cover, contact me and let me know. I will sign one and send it right out to you. 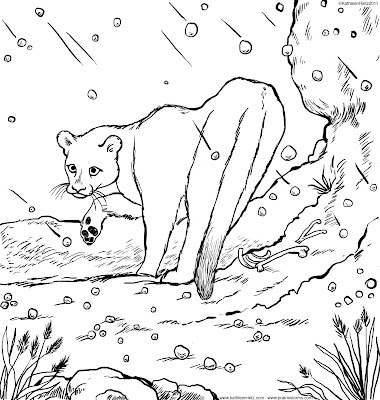 "Prairie Storms": New Book Release Coloring Pages! Read a NEW Interview with Yours Truly! 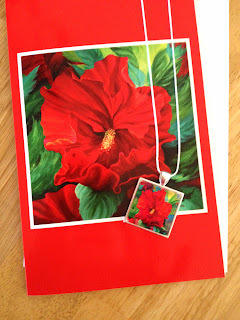 I was interviewed by writer Karin Cameron over at her blog, "Karin Won't Stop Talking". Go take a look and find out how I got my start as an artist and children's illustrator, and what advice I can give to others in the biz. Be sure to leave a comment and tell Karin you stopped by. She is a marvelous host and an awesome writer. Here is a rough sketch I made for the upcoming book "Prairie Storms", due out in August 2011! I just added this sweet new print to the Licoricegirl Shop on Etsy. 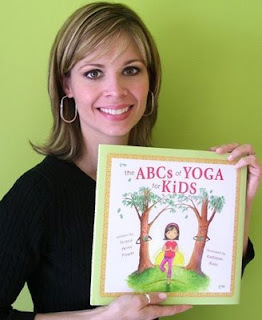 Actress Mariel Hemmingway recommends the highly successful book I illustrated, "The ABCs of Yoga for Kids". 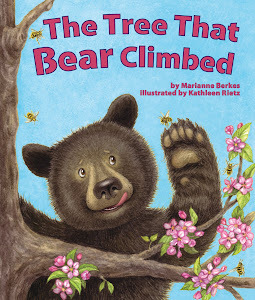 This book has now won 7 awards. I wonder if she'd like my autograph...? 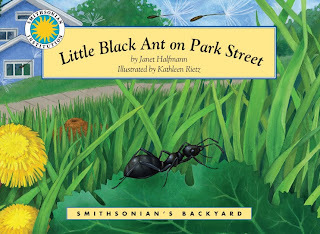 Read more at Midwest Book Review. 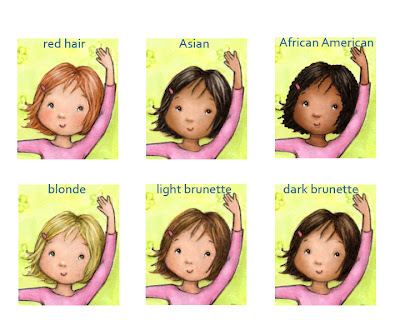 Order your copy of The ABCs of Yoga for Kids. A swarm of winged ants! From the book "Little Black Ant on Park Street". You can order the book from Amazon here. Thank you for visiting my blog. 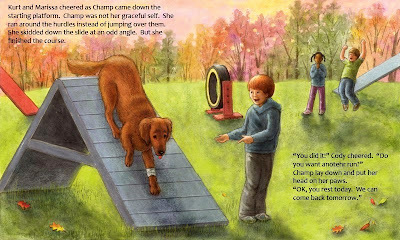 Become a fan of "Champ's Story" on Facebook! You can now join the "Champ's Story: Dogs Get Cancer Too!" fan page on Facebook. Just click HERE, and the click the "Like" button at the top of the fan page. 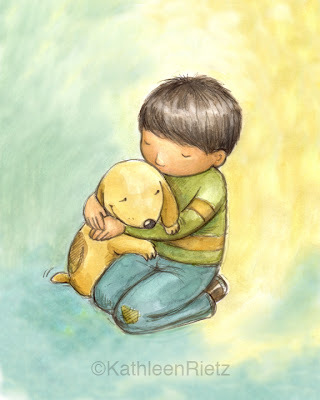 Post your stories about the book, photos of your child reading the book, your own stories about how cancer has touched the life of you, your child or a pet. I hope you enjoy this new way to interact with the publisher, author Sherry North, illustrator (me), and other fans of the book. 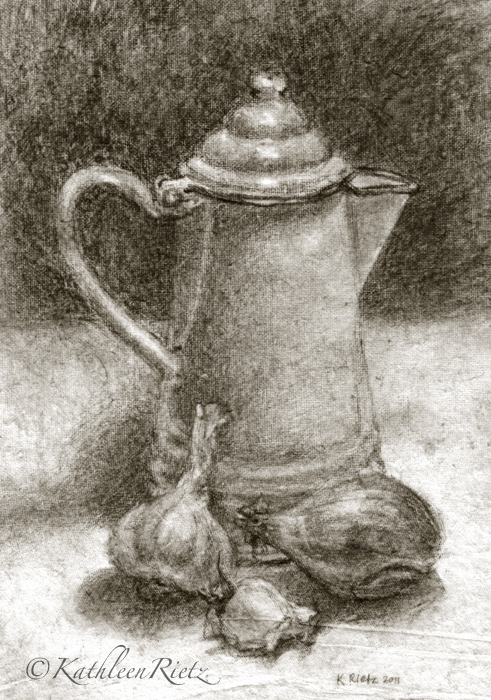 CLICK to visit my FINE ART blog! 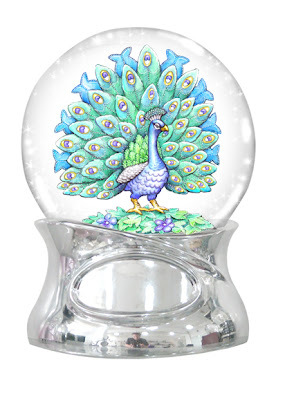 Click the image to order from Stafford House! Parent Tested Parent Approved (PTPA) seal of approval winner; 2009 Living Now Silver Award; 2009 Moonbeam Bronze Award; 2009 Pinnacle Book Award; 2009 Family Choice Award; Mom’s Choice Gold Medal Award; Independent Publishers Book Gold Award; The National Best Books Award (USA Book News); Honorable Mention in the 18th Annual International Self-Published Books Awards. Respect copyrights. 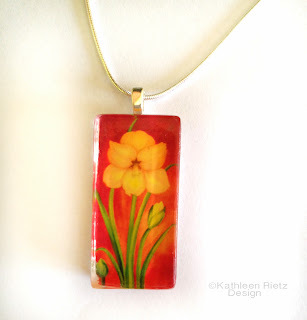 No printing, lifting images or downloading without explicit permission from the author of this blog, Kathleen Rietz. ©Kathleen Rietz. All rights are reserved.